Episode 7: What Is Good Enough? 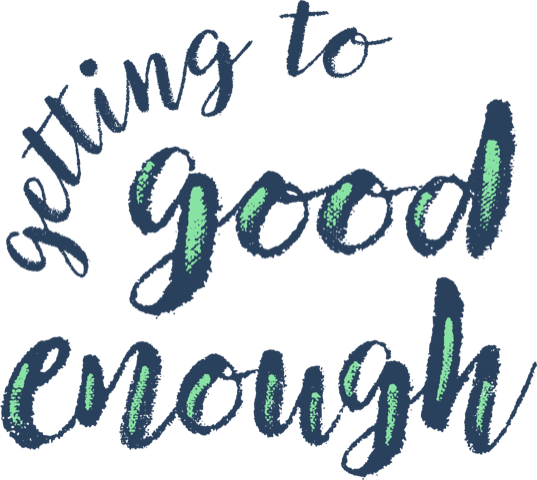 It’s hard to know how to stop at good enough if you haven’t identified what good enough means to you. 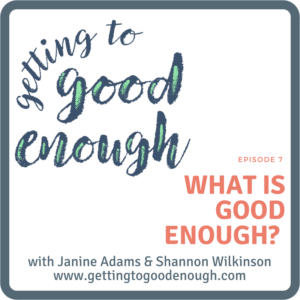 Shannon and Janine discuss why it’s important to understand your own standards of good enough–and how those standards are very personal. Comment from Janine: I looked for black gunk on my stove and decided that it might be invisible since my entire stovetop is black. I enjoyed this one. Good to know that you all try out and experiment with different kinds of systems. I find that I “discover” a system, get excited, use it for 3 – 4 months, and then it (or I) wane. But then a “new” system or different way of handling tasks comes on my horizon, I try that one and am excited again. Think that maybe I just get a little bit bored and need a “change” in order to make it fun. I do, however, keep a steno pad (decorated with scrapbook paper so it looks appealing) with *all* the tasks I have to do — you are absolutely right about writing it down. I’d drive myself c-r-a-z-y if I tried to keep any of it in my head!! It’s great that you’ve discovered a system of trying out new systems! Keeping the steno pad through the changes is an excellent way of keeping on top of tasks while experimenting. Good for you for recognizing that you need to keep your task management fun and interesting, Tina! Thanks for listening and sharing what works for you. Reminding me what “good enough” is every time I listen to your podcast is helpful. I just took an online course on procrastination, and one of the other course members said something that really resonated with me yesterday: “Perfectionism is gasoline on the fire of procrastination.” So true! I wrote it in big red letters in my To-Do book. I am learning inch-by-inch to let go of my perfectionism which has plagued me all my life. And I am actually getting things d-o-n-e for once. Your podcast is the best! Wow, that’s a powerful statement! Congrats on your progress sin letting go of perfectionism, Christy! We’re so glad you’ve found the podcast and that it’s been helpful.